The Walter Havighurst Special Collections is home to a number of manuscript collections. One such collection is the papers of James Reiss. James Reiss is a widely published writer and poet. Reiss was born in New York City and grew up in Washington Heights. He received both his B.A. (1963) and M.A. (1964) in English from the University of Chicago. Reiss began teaching at Miami University in 1965 as an instructor of English and served as an assistant professor (1969-73), associate professor (1973-81), and professor of English (1981-2007). Reiss retired from Miami University in 2007, and is currently a Professor Emeritus of English. Reiss was also a Visiting Poet and Associate Professor of English at Queens College from 1975-76. Reiss spent many of his teaching years commuting between Oxford, OH and New York City on a weekly basis. 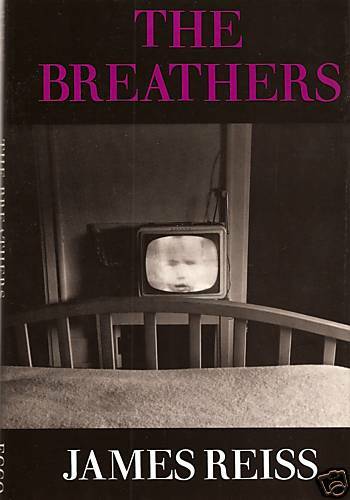 Reiss has published five books of poems, The Breathers, Express, The Parable of Fire, Ten Thousand Good Mornings and Riff on Six: New and Selected Poems, and was the co-editor of a sixth book, Self-Interviews: James Dickey. 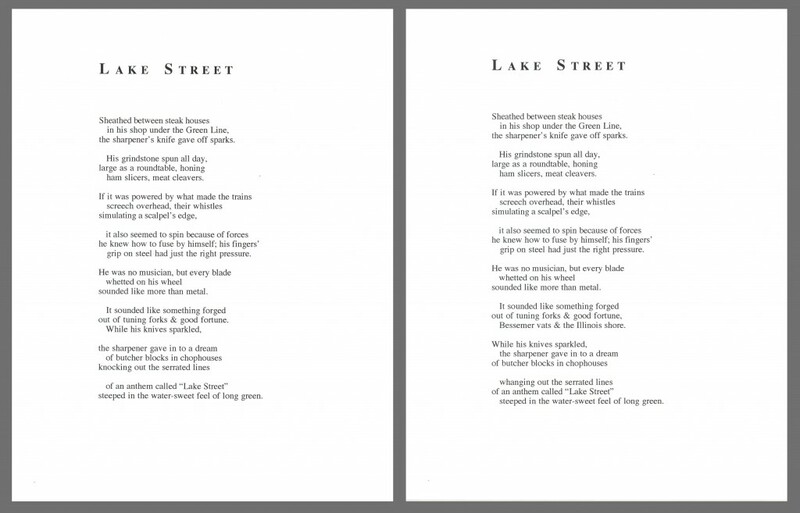 His poems have appeared in numerous publications including The Atlantic Monthly, Esquire, The Hudson Review, The Kenyon Review, The Nation, The New Republic, The New Yorker, The Paris Review, Poetry, Slate, and The Virginia Quarterly Review. Reiss has received several writing fellowships and awards and has been nominated for a National Book Award and a Pulitzer Prize in poetry. 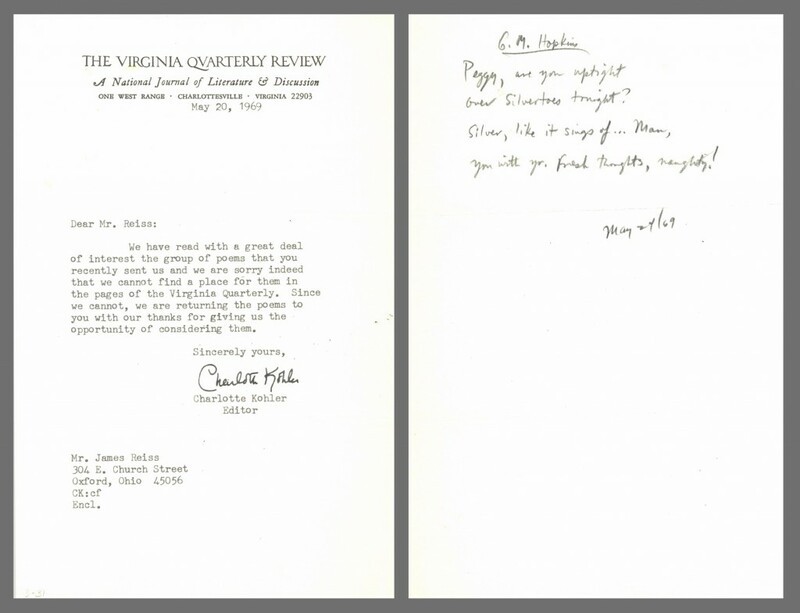 The bulk of the James Reiss collection at Miami is made up of manuscript materials, but also includes correspondence (both professional and personal), published materials, photographs, and ephemera. Processing Reiss’s papers was one of the first projects I worked on after arriving at Miami in 2008. Processing the collection gave me a unique glimpse into Reiss’s writing process. Not being a writer or poet myself, I found this process absolutely fascinating. Reiss had a very specific system for filing his work. 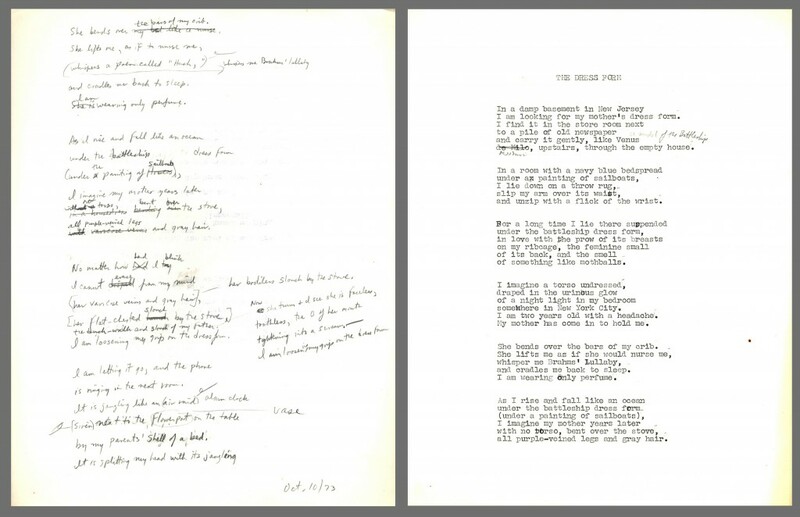 Both working copies and final versions of the poems were kept in folders separated by year, ranging from 1969-2007. Many of the poems have the corresponding month and day noted. 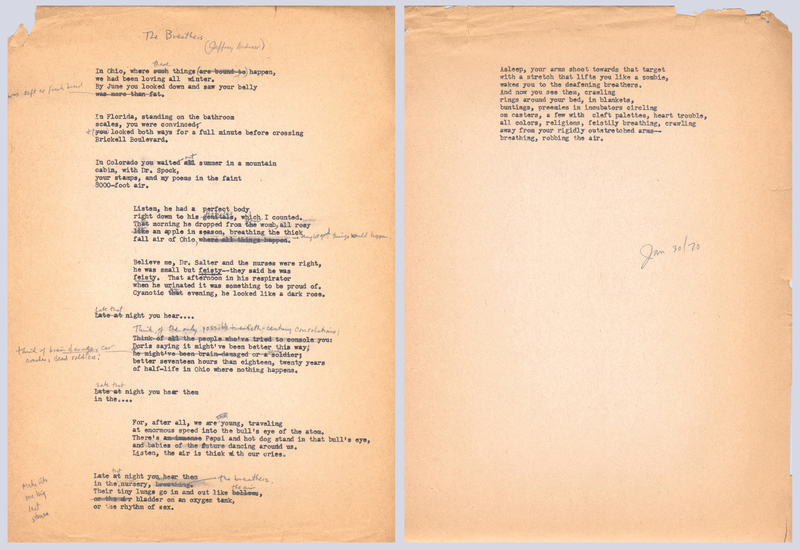 The poems, both handwritten and typed, were often composed on the back of other poems, student work and even correspondence. Sometimes Reiss would make several photocopies of a poem and then make changes and corrections by hand. Other times he would take an entire piece of paper to simply rework a single line of a poem, over and over, till he got it right. He would also change or re-purpose rejected titles or lines. Many times a line that was cut from one poem would end up in another. Interspersed with the poems are journal entries and notes. Many of these discuss Reiss’s writing and feelings, family matters, daily life, publishing and Reiss’s career. 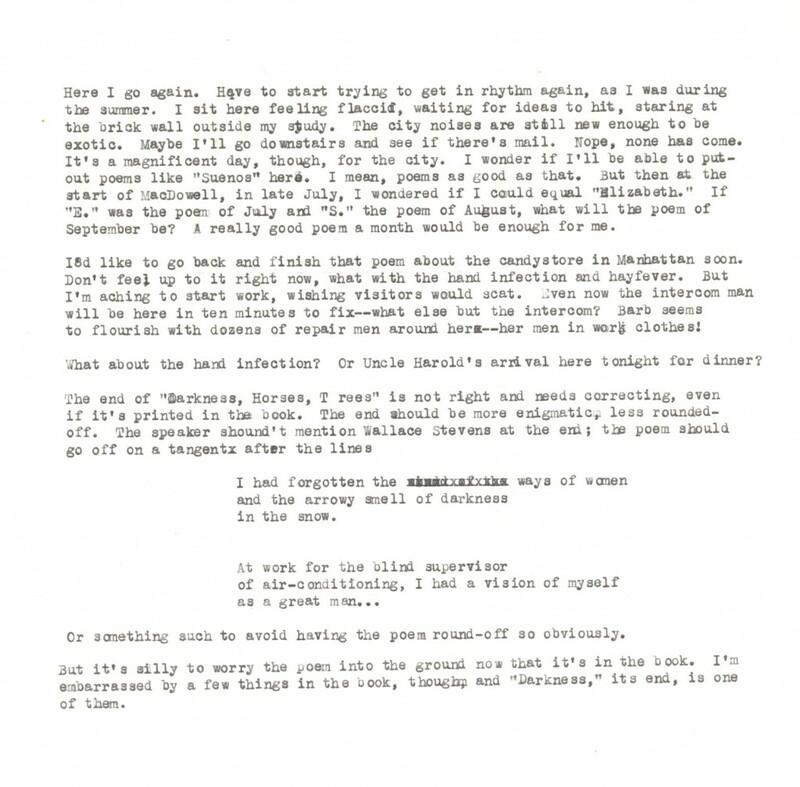 Often the journal entries served as a type of “warm-up” or automatic writing that Reiss would use at the beginning of a writing session and can include what Reiss was hoping to accomplish with his writing and how he felt about his work. It was amazing for me to go through these writings and see how the musings in a journal entry would all of a sudden show up in a poem somewhere else. As technology improved and Reiss began using a computer in his writing process, these insights and connections became less and less apparent. It was much harder to see the evolution of his poems, although Reiss continued to occasionally print out a draft and edit by hand, the bulk of the changes and revisions each poem went through remain invisible to us. While I would be the first to admit that computers and other technology have greatly improved our lives in many ways, I can’t help but think what would have been missed if Reiss had done the bulk of his writing on a computer. Below is an example of two versions of the same poem, note it is a lot harder to track the changes that occurred. Manuscript collections can be an invaluable resource for researchers and enthusiasts alike, many times they offer a unique glimpse into the lives and work of their creators.